I never set out to write a series. Things just kind of happened. 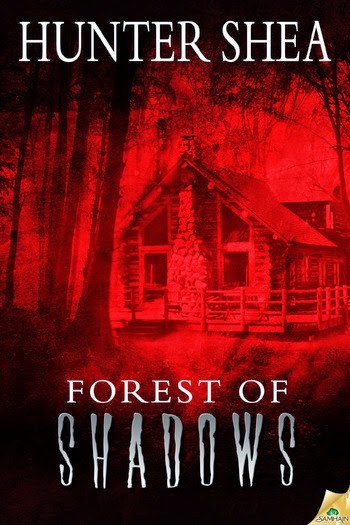 When I wrote my first book, Forest of Shadows, I had no intention of there ever being a follow up. I believed I’d made a pretty final ending. Now I could move on to the next story idea. Then something happened I hadn’t expected. Readers truly enjoyed the book and asked for more. On top of that, there was a character in the book that I myself had fallen in love with. I couldn’t just leave here there in the pages of a completed book. No, there were more tales to tell, and she would be the focal point. 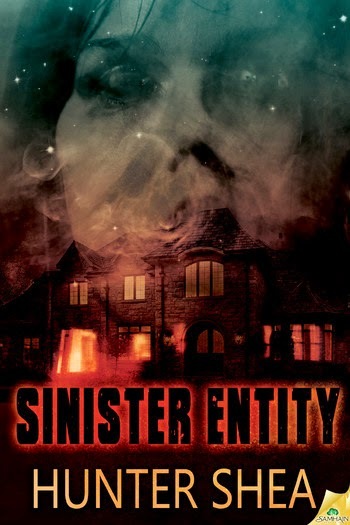 So, I wrote a follow up called Sinister Entity, set 13 years later. Here’s the kicker. Personally, I hate picking up a book and reading it, only to realize it’s book 3 in a series of 10! If I wanted back story so book 3 made sense, I had to buy 1 and 2. I vowed not to do that with my own fledgling series. 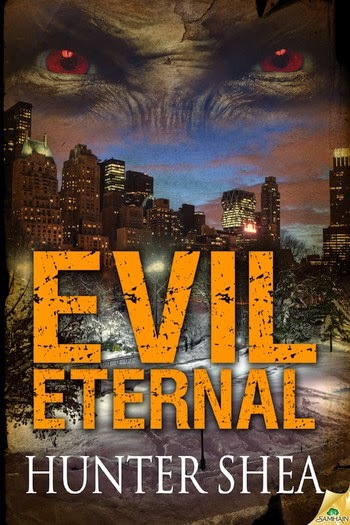 Even though Sinister Entity is a sequel to Forest of Shadows, both can be read as standalone books. Wanting to expand on the world I had created, I had to write a third book, Island of the Forbidden. Again, Island had to be both a natural progression from Sinister and it had to stand on its own. I’ve come to realize this is no easy task. You have to provide some back story, but not so much that it bogs down the pace of the book. Even though the characters are fully fleshed out in my mind, I had to build them from the bottom up in quick order, again so as not to interfere with the flow of the story. Was it easier with book number three? Not a chance. In fact, it gets more difficult as you decide which plot points and important moments from previous books you need to introduce, all while doing it with an economy of words. I want to give readers all they need, without having to drop the book and go searching for the one before. Of course, if the story is done right, new readers will naturally want to check out the past travails of Jessica Backman and Eddie Home. At least I hope that’s the case. Either way, they have more stories to tell. It’s my job to do the heavy lifting. Until then, I hope you enjoy Island of the Forbidden, a terrifying ghost story set on a creepy island off the South Carolina coast. It’s one thing to investigate a haunted house. Imagine being stranded on an island where every square inch is haunted by innumerable spirits. EMF meters not required. 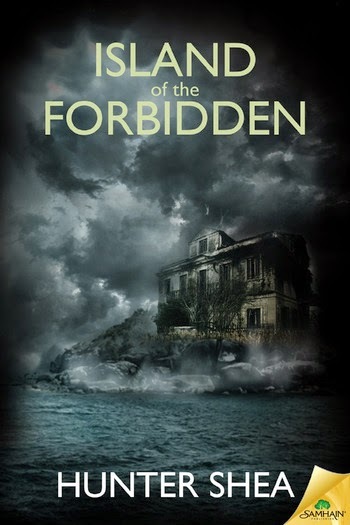 Island of the Forbidden by Hunter Shea continues the story of Jessica Backman, the ghost-hunting heroine who has appeared in Forest of Shadows, The Graveyard Speaks and Sinister Entity, all published by Samhain Horror. To read more about the series and Jessica Backman, read Hunter’s recent article. 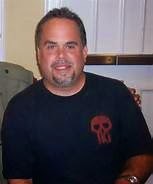 Hunter Shea is the author of paranormal and horror novels Forest of Shadows, Swamp Monster Massacre, Evil Eternal, Sinister Entity, HellHole and Island of the Forbidden, which are all published by Samhain Horror. 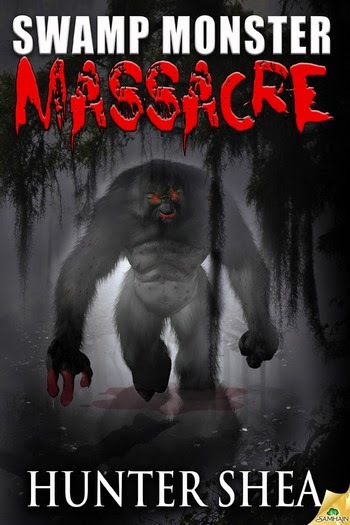 The June 3, 2014 release of his horrifying thriller Montauk Monster was published by Kensington/Pinnacle. His second Kensington novel, Tortures of the Damned, will be published later this year. He has also written a short story to be read prior to Sinister Entity, called The Graveyard Speaks (it’s free, go download! ), and a book of stories called Asylum Scrawls. His books are great, Shey!